Nothing will make you say “ahhhh” on vacation like a stay at one of the best luxury all inclusive resorts in the world. These luxury all inclusive resorts take care of everything for you — from preparing fresh, indulgent meals to providing endless activities to choose from. Plus, you’ll often find all inclusive resorts in absolutely breathtaking travel destinations. Whether you’re looking to soak up the sun on a brilliant white sand beach, or ski down slopes thick with powdery snow, our Southern travel experts recommend an all inclusive resort vacation as the ultimate relaxing travel experience. Our dedicated Southern Travel experts will work with you to build a customized travel itinerary tailored just for you, using our network of worldwide travel contacts to book you the best tours, transfers, accommodations, and more. Click on the button below and start building the luxury vacation of your dreams! Find out what makes Sandals one of the top all inclusive resort brands in the world. 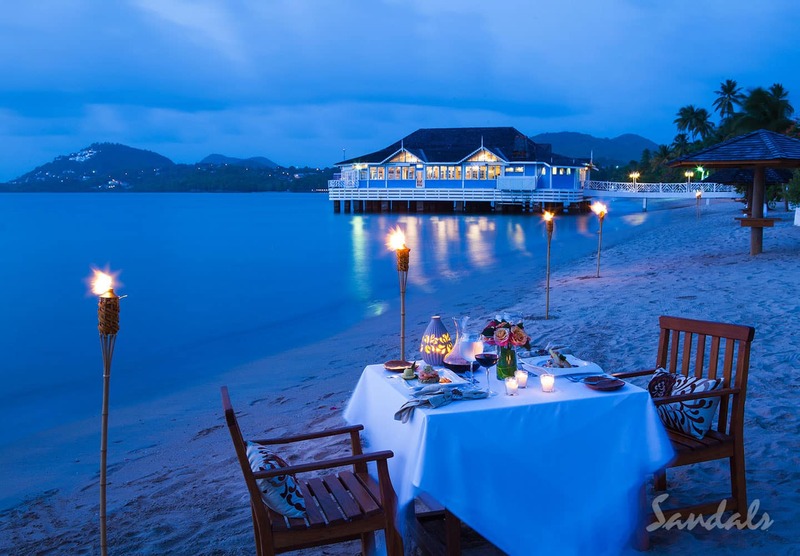 Between the amazing amenities and friendliness, we felt completely pampered on our recent honeymoon at Sandals La Source Grenada, planned by Southern Travel Agency. We couldn’t walk by anyone who worked there without them saying ‘hello.’ The staff often engaged us in questions on how we liked the island. As a leader in the all inclusive resorts category, Sandals resorts rise above the rest in terms of incredible service and amenities. In addition to unlimited dining and drinks, you have a range of activities to choose from at any Sandals resort. These include water sports, scuba diving, golf, and a private airport lounge and transfers. At some Sandals resorts, you can even take trips to private offshore islands. Waking up to endless views over the bright blue Caribbean, that's pure paradise! Click To TweetOur certified Sandals specialists recommend to check out over-the-water bungalows. Sandals has also pioneered over-the-water bungalows in the Caribbean. The company built first-of-its-kind Caribbean over-the-water bungalows at two resorts: the luxury Sandals Grande St. Lucian resort and Sandals Royal Caribbean resort. Imagine waking up to endless views over the bright blue Caribbean, with your own butler bringing you breakfast in bed. That’s pure paradise! 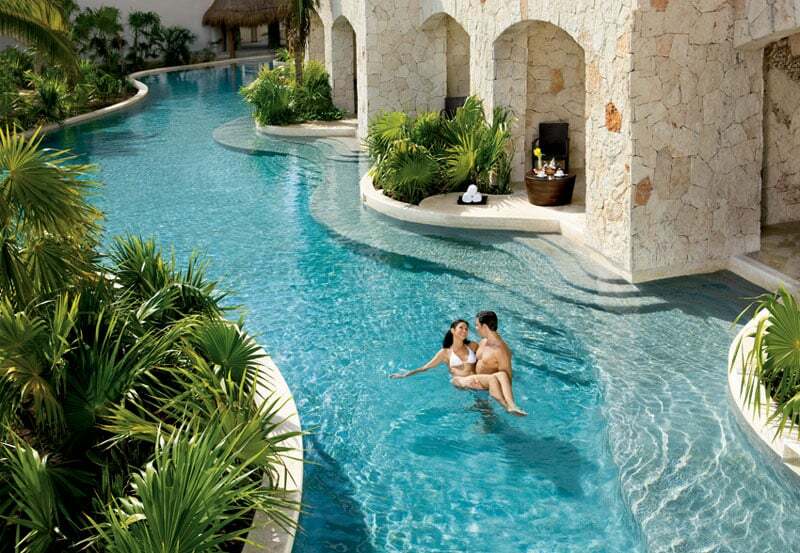 Every Secrets resort is steeped in romance. These adults only all inclusive resorts are known for their upscale vibe. Picture swanky pools, luxurious spa treatments, and stunning sea views. The Secrets all inclusive resorts are located in some of the hottest spots in the world. 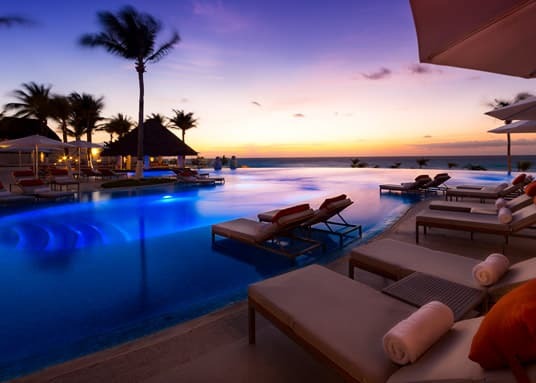 You’ll find these luxury resorts on the Riviera Maya, Cozumel, Cancun, Puerto Los Cabos, Puerto Vallarta in Mexico, in Punta Cana, Dominican Republic, on the Montego Bay in Jamaica, or in Costa Rica. Karisma resorts represent a modern, high-end approach to an all inclusive resort vacation. Clean-lined, unfussy decor lets the beautiful resort locations truly shine. The Karisma brand operates hotels, resorts, and villas around the world — from Mexico to Montenegro — for both families and adults only. Every detail of your luxury Karisma resort vacation is given the utmost care and attention. You can expect gourmet dining, spacious room appointments, and plush seaside cabanas at any of these all inclusive resorts. The name of this resort brand says it all — there’s simply nothing else like a One&Only resort. These high-end all inclusive resorts are located in some of the most exotic and intoxicating locations around the world, including South Africa, Dubai, and the Maldives. 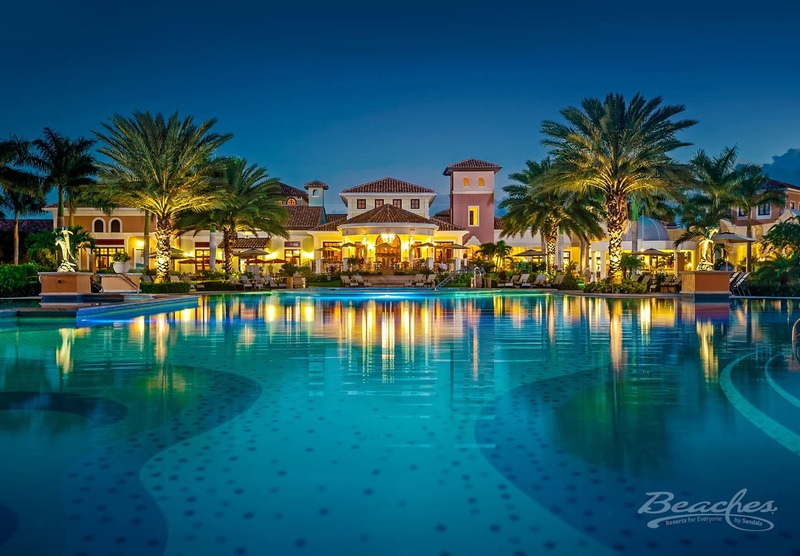 Or you can experience the luxury of One&Only a little closer to home with a stay at one of their all inclusive resorts in the Bahamas or Los Cabos, Mexico. Learn more about how Beaches nails the all inclusive resort experience. Our certified Beaches specialists experience that our clients return to Beaches family resorts again and again because they know how to do all inclusive family vacations right. The kids will enjoy appearances by beloved Sesame Street characters, or a wild ride down the water slide. Parents, meanwhile, can indulge in sophisticated, freshly prepared food and drinks and dips in adults only pools with swim up bars. 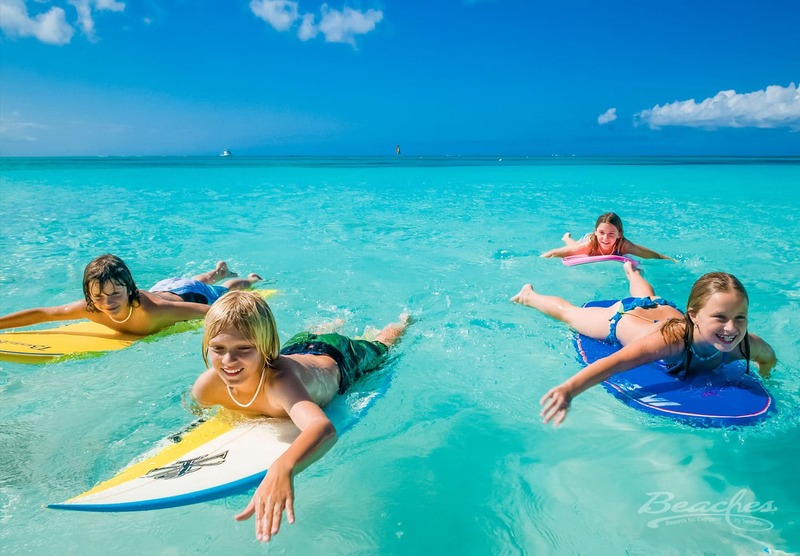 A part of the Sandals Resorts brand, the Beaches all inclusive resorts has fun for everyone — and families return home closer than ever. “We worked with Mike Kerbelis to plan our destination wedding at Beaches Turks & Caicos. He was always there for me. He organized a wonderful email to my list of guests and touched base with them about booking flights and deposits. Plus, he kept them on track about money due dates. Southern Travel Agency also had a relationship with the Beaches general manager. This helped us get perks like a room upgrade when there technically weren’t any available, and reserving the hibachi restaurant in advance. 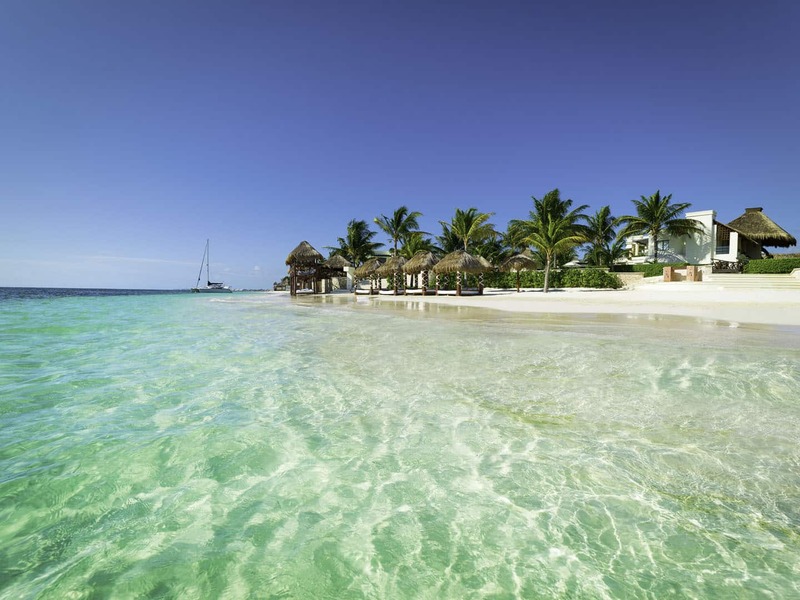 Excellence all inclusive resorts are some of the finest luxury resorts in Mexico. The tranquil atmosphere and endless beaches at these luxury resorts make them popular options for breathtaking destination weddings, beautiful honeymoons, and special anniversary trips. Plus, a multitude of resort bars, scrumptious restaurants, and pools and jacuzzis means you’ll never get bored exploring all that an Excellence resort property has to offer. Based out of Spain, every Iberostar hotel or resort provides a fun fiesta atmosphere. With incredible properties on four continents — North America, South America, Europe, and Africa — Iberostar hotels and resorts are spreading luxury merriment all around the world. Not to mention, foodies should take note of Iberostar’s “Chef on Tour” initiative. The chain brings Michelin-rated chefs to some of its finest all inclusive resorts and properties for a gastronomic experience sure to impress. The Hermitage Bay resort in Antigua is an all inclusive resort that oozes luxury in every way. 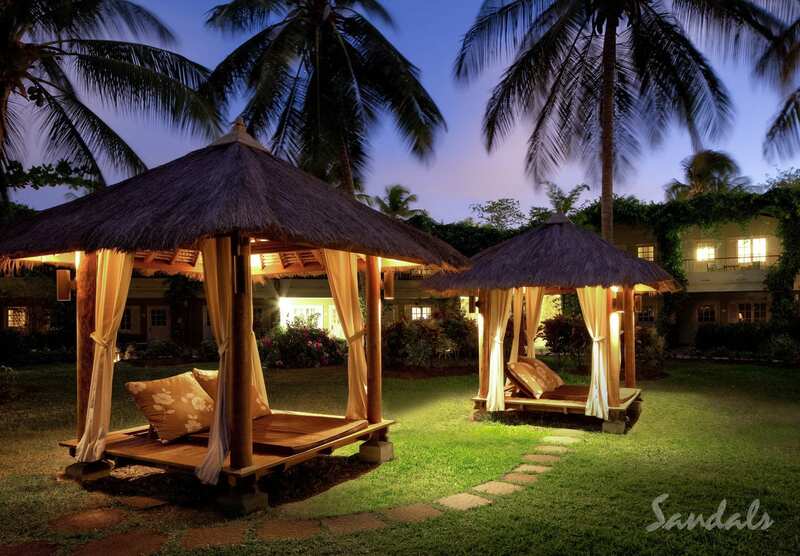 This five-star boutique resort takes full advantage of its pristine location. 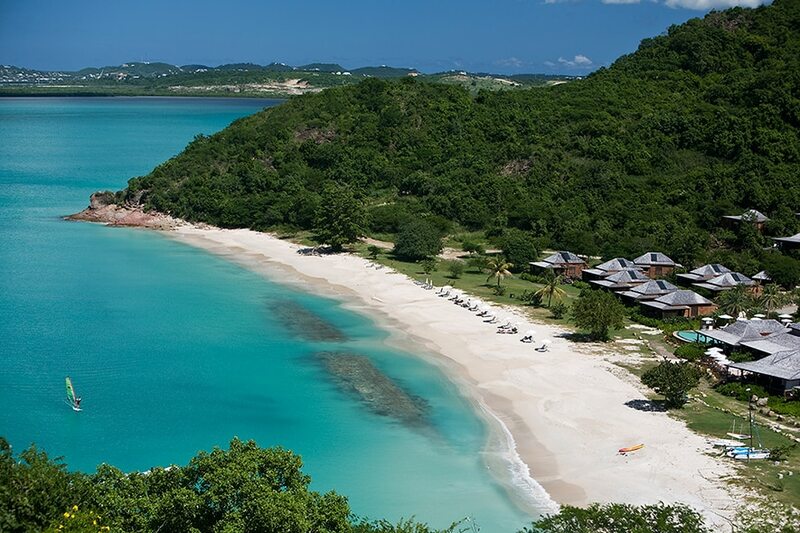 You’ll enjoy plenty of breathtaking views of the bay’s deep blue waters and Antigua’s rolling green hills beyond. A natural paradise, Hermitage Bay represents a once-in-a-lifetime stay for true luxury lovers. — Mike Kerbelis, owner of Southern Travel Agency. With locations throughout Mexico and Jamaica, Palace resorts offer travelers an unparalleled number of inclusions and amenities. At every Palace resort, you can expect 24-hour room service, complimentary internet, top shelf drinks, and heart-pumping water sports. 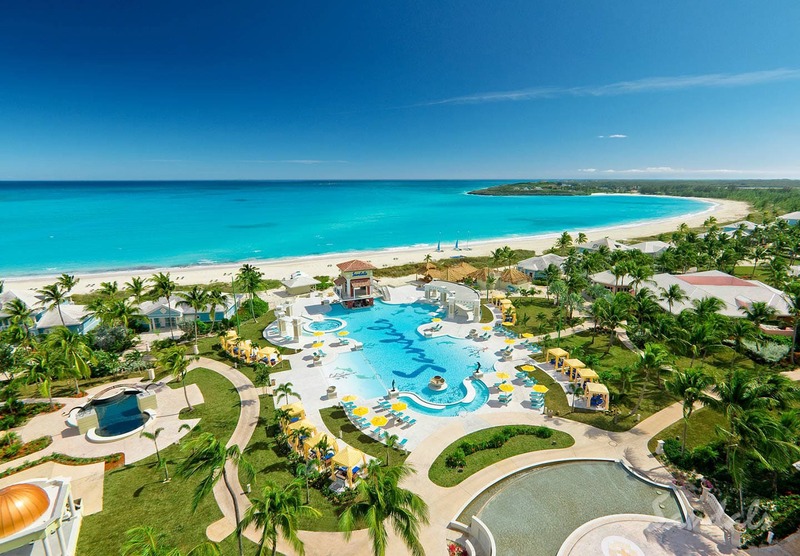 All all inclusive Palace resorts also offers daycare services, giving parents a chance to connect one-on-one during a family resort vacation. You’ll find all inclusive Fairmont resorts in the finest destinations around the world, from the sun soaked beaches of Barbados to the glittering skyline of Abu Dhabi. Fairmont’s global collection of elegant luxury resorts gives travelers the chance to indulge in their passions, like skiing, golf, and sailing. There’s a Fairmont resort that will fit your every desire! All inclusive resorts are so popular among our clients because they combine the best of luxury and simplicity. All inclusive resorts are perfect for the traveler who wants to truly relax and savor a vacation — without a worry in the world. If you’re yearning for a vacation where every little thing is taken care of, you’ll love an all inclusive resort getaway. Ready to embark on your own all inclusive adventure? Get in touch with our resort experts at Southern Travel Agency to start planning your dream vacation today! For a truly exceptional vacation experience, our luxurious travel packages created specifically for you will transport you to a world of utter indulgence. Imagine a getaway where every one of your cares is catered to … think sumptuous spas, five-star dining, and private tours and excursions. If you’re celebrating a special milestone, or you’re just in need of some serious rejuvenation, our luxury travel packages deliver a once-in-a-lifetime experience. Our dedicated team of online travel advisors is there for you during every step of your journey. Imagine: actually having an expert to talk to who will happily answer all of your travel questions! When you work with Southern Travel Agency, you have a travel advocate in your corner who’s there for you every step of the way. We pride ourselves on our clear communication with clients, while we take care of every part of the booking process for them. It’s travel made easy — finally!